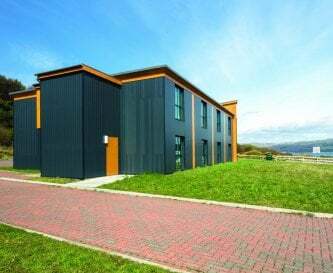 FSC Millport, Isle of Cumbrae, Ayrshire, Scotland, sleeps 60-129 in 64 bedrooms. 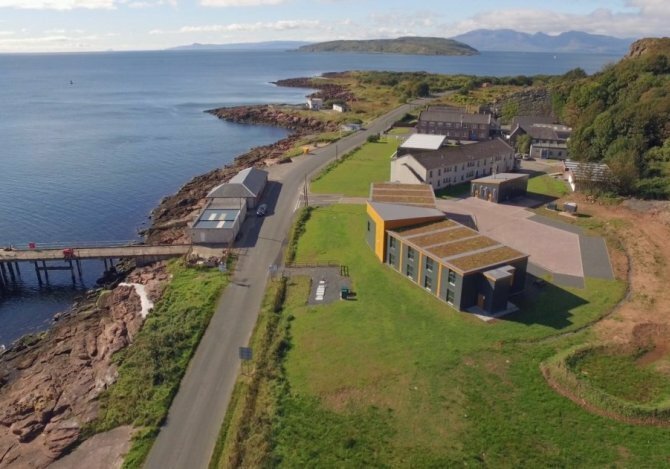 FSC Millport has 64 en suite, twin bedded rooms, sleeping up to 129, in the beautiful setting of the Isle of Cumbrae off the west coast of Scotland. We offer comfortable, high-standard accommodation, home cooked meals and a service with a smile. 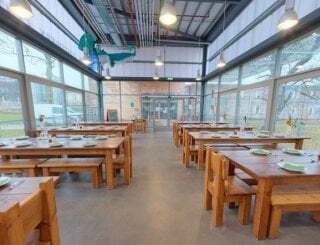 FSC Millport is ideal for your family, friend or corporate group and we can cater to suit your exact requirements. However, please note that we currently do not accept stag or hen parties. 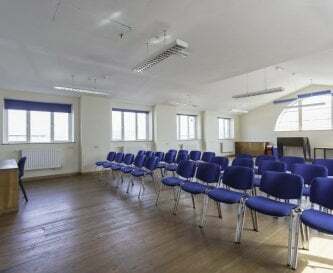 Groups have the option to book room only accommodation, B&B, Full Board, or it is possible to rent out the whole centre on a self catering basis. 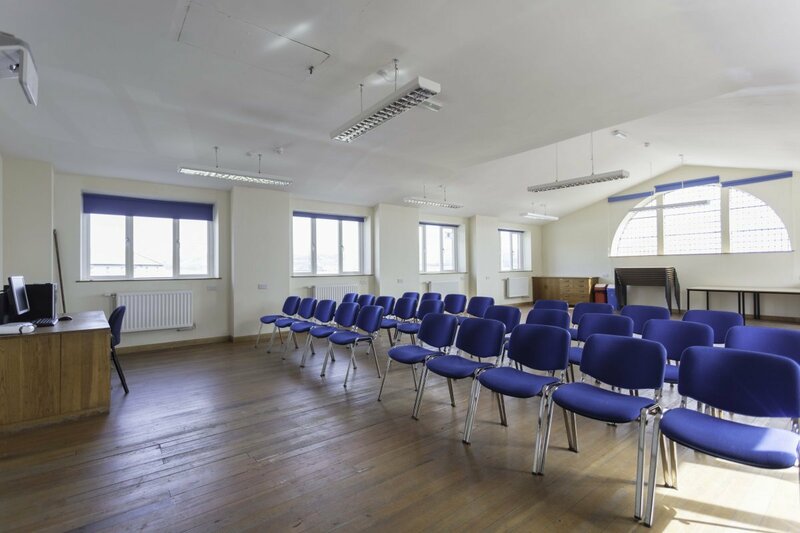 There is also a range of break rooms, meeting rooms and classrooms available for group use. 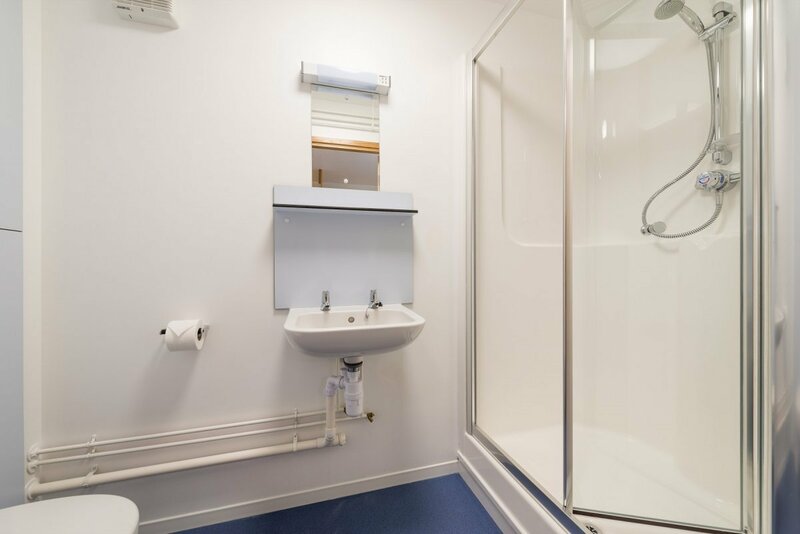 Our accommodation side was completely refurbished in 2015-6 and made environmentally friendly, with the installation of a biomass boiler, green roof and sensor lights in all common areas. 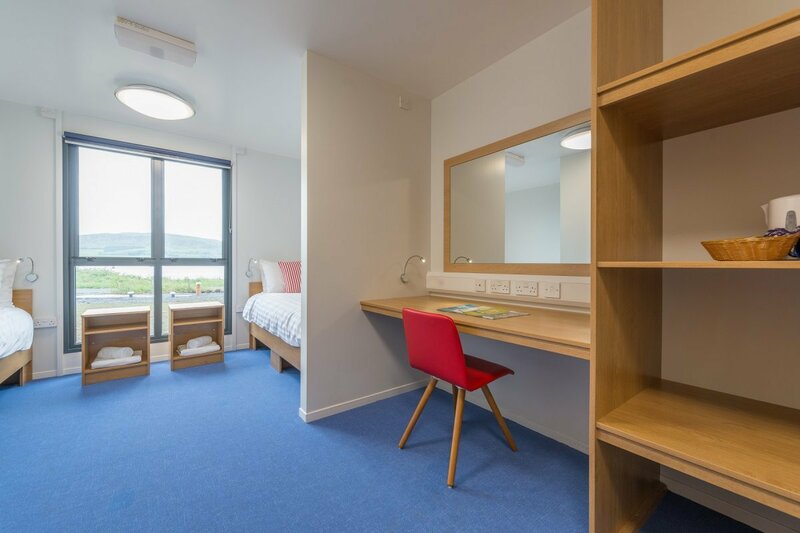 Our modern rooms have en suite bathrooms, a desk, chairs, wardrobe and are of much higher standard than our price tag would suggest! The view is something to write home about: half of our rooms face the Firth of Clyde and from some of them you can even see the Isle of Arran. 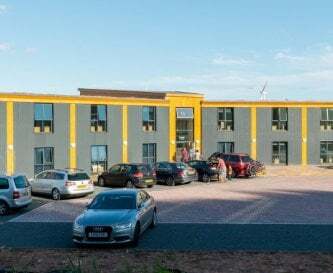 The centre consists of two accommodation blocks with 32 rooms each, and the dining room and kitchen are located in one of them. 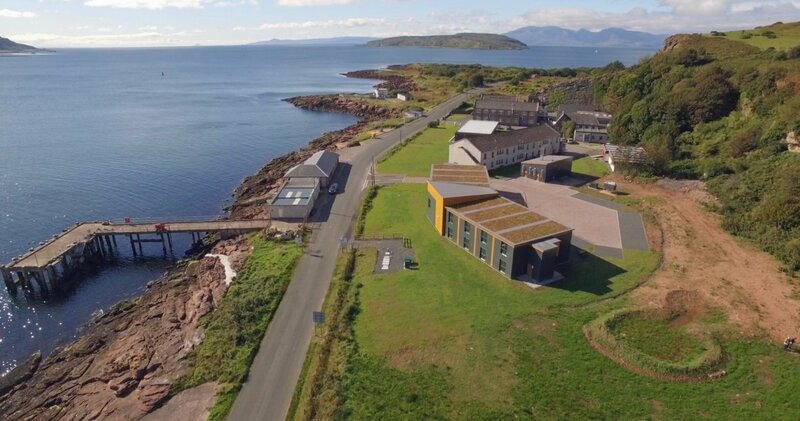 FSC Millport can provide environmental activities to suit your group, such as wildlife walks, boat trips, rock pooling sessions, beach games and guided visits to our own Museum and Aquarium. 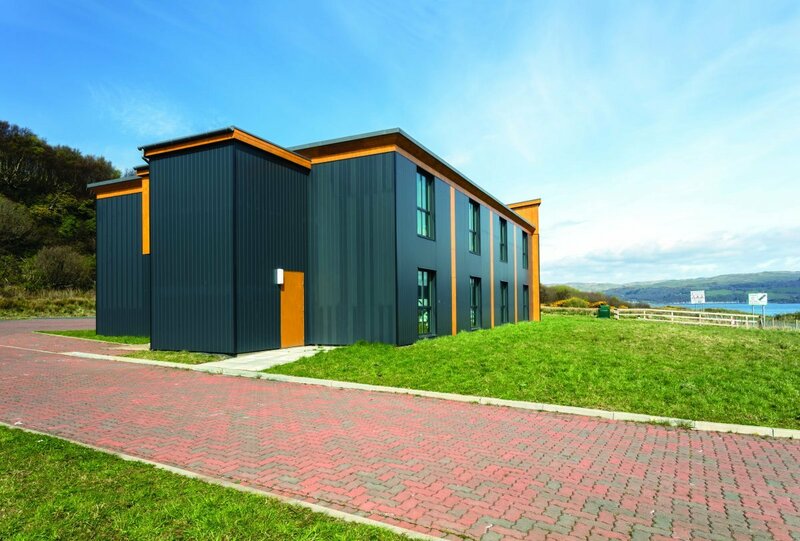 FSC Millport offers the perfect break away from the city, yet has access to a whole range of services and amenities. 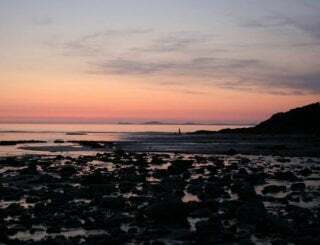 We are conveniently located just a few metres off the shore of the beautiful Isle of Cumbrae, the most accessible of Scottish Islands, which is only an 8 minute ferry trip from the mainland in Largs. 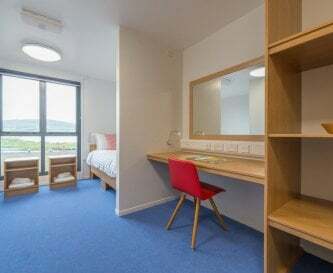 FSC Millport can be reached by public transport in only 1hr 15min from Glasgow Central or Glasgow Airport, and it is only one mile away from the picturesque town of Millport, which has been a favourite holiday destination for generations. 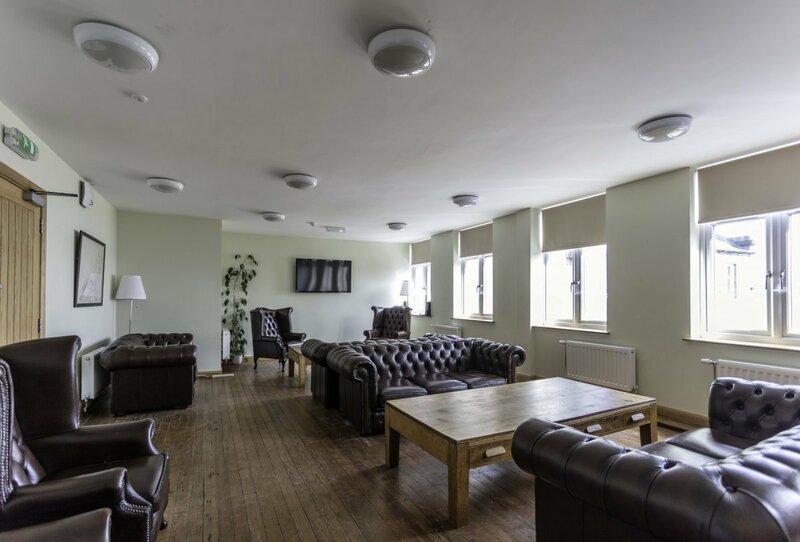 We offer self-catering only to groups that hire out the whole centre. 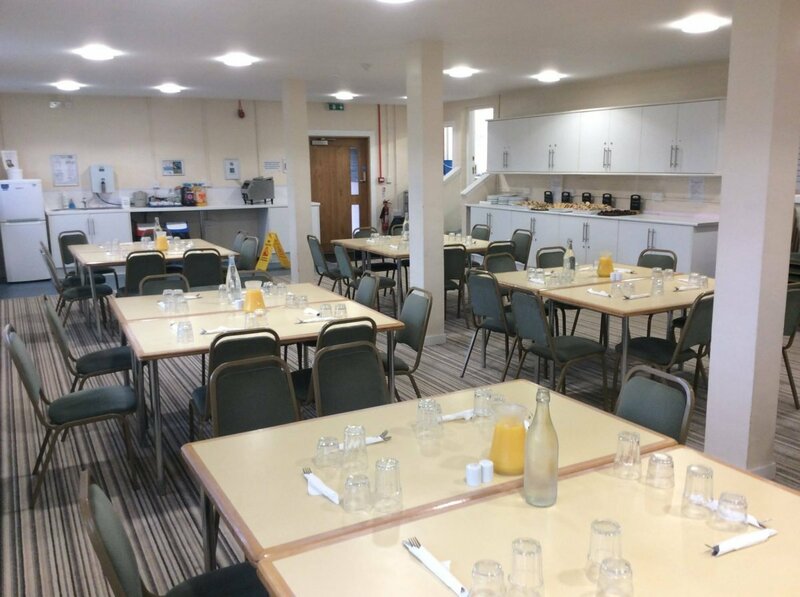 The kitchen is fully equipped as we regularly cater for a wide range of groups. Our dining room can comfortably welcome up to 90 people. It has 15 tables, chairs, a TV screen and a hot drinks corner. We do not have high chairs. 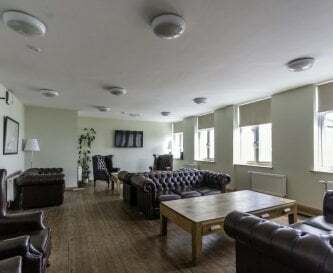 We have 2 sitting rooms on site with board games and a pool table. One of them has a TV. TV available in one of the sitting rooms, in the adult bar/lounge and in the dining room. 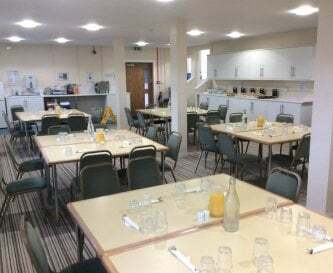 There is WiFi connection throughout FSC Millport. There is a pool table in one of the sitting rooms, plus board games available. Central heating throughout the property. All our bedrooms are twin bedded and en suite. We can add a Z-bed on request, but please confirm availability first. Linen hire is included. Please strip your beds upon departure and leave them in the trolleys at the bottom of the stairways. 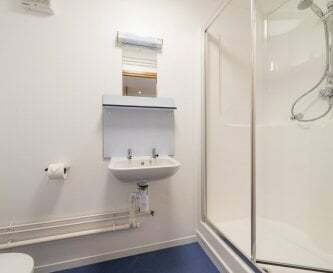 All bathrooms are en suite. 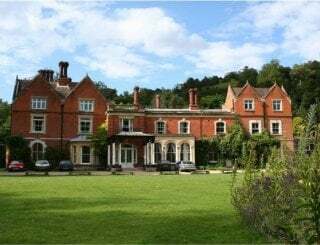 We have limited rooms with disabled access and facilities so please contact us to discuss further. Our site has two large grass areas, benches and outdoor tables. 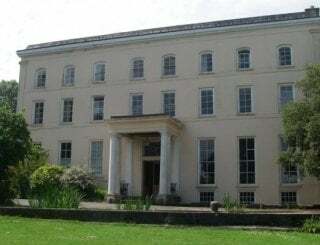 The centre is on the seafront but surrounded by green areas on all other sides. There is plenty of parking on site. Reservation not required. Pets are not usually allowed at FSC centres. Special arrangements will be made for guide dogs. We are located on the Isle of Cumbrae, the most accessible of Scottish Isles. FSC Millport can be easily reached by public transport or by car in just over 1 hour, from Glasgow. The picturesque town of Millport is only 2 minute drive from our accommodation. The town of Millport has a range of shops, pubs and a bank with cash machine. We offer home-cooked hearty meals on site, cooked with a range of fresh, locally-sourced, seasonal ingredients. The nearby town of Millport has 6 pubs and many eateries. The nearest train station is in Largs, on the mainland. The station is 150 metres away from the Millport ferry terminal. There is a bus stop outside FSC Millport with a regular service to Millport town and to the Ferry Slip. Nearby airports are Glasgow International and Glasgow Prestwick.